PT. Transportasi Jakarta (Transjakarta) operates 10 buses during traffic trial in Tanah Abang, Central Jakarta.
" This facility is a part of our service to public transportation users"
PT. 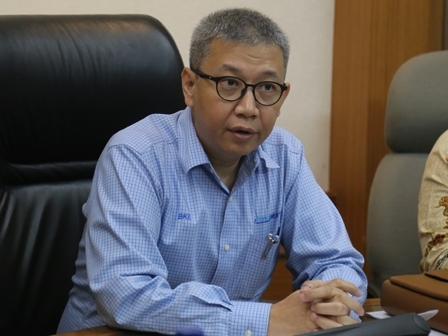 Transjakarta Director, Budi Kaliwono said each bus has 66 passengers capacity. These buses will pass by six bus shelters consist of Tanah Abang Station Bus Shelter, Blok G Bus Shelter, Blok C Bus Shelter, AURI 1 Bus Shelter, AURI 2 Bus Shelter, and Jatibaru Flyover Bus Shelter. He explained shuttle bus service is given for free. From beginning, his side has prepared it thus can be operated during Tanah Abang arrangement. "This facility is a part of our service to public transportation users. Besides, we also hope Tanah Abang could be arranged in orderly," he stated.